I’ve done family pictures a few times with my sweet friend Sarah. She and her husband Joe are some of the most photogenic people I’ve had the pleasure of working with, and they have a couple of the cutest boys ever. But of course, as some of you know, life with little boys is always an adventure. I don’t know how it’s possible for there to be wailing one second and then hamming it up for the camera like a real pro the next second, but they did it. 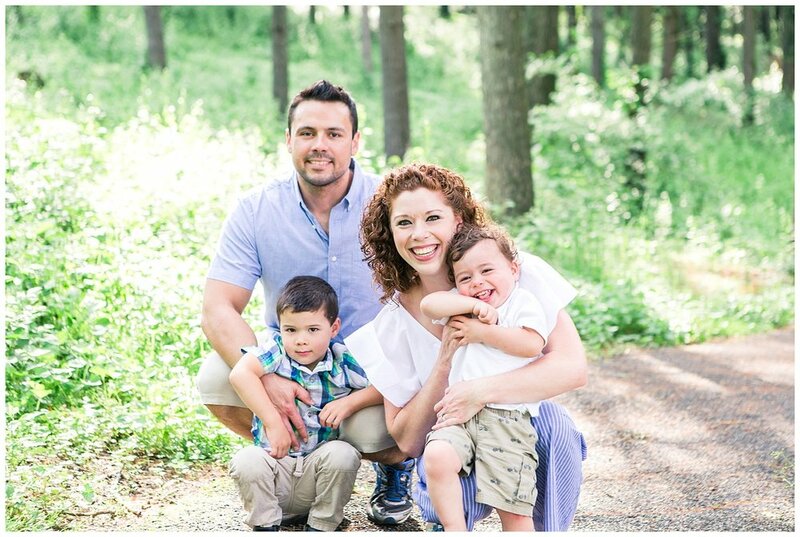 Apparently Sarah and Joe passed on the photogenic gene to their kiddos, “photogenetics”? There are a lot of fringe benefits to photographing families with little kids, like seeing the look of pure joy in a kids face as they run free outside, or in this case straight into a mud puddle, like little Henry did at the end of our session. Sarah and Joe handled it like champs though, being thankful that at least it happened at the end of our session and not the beginning. They’re such great parents and I always look forward to my times with them.